What is Bitcoin? 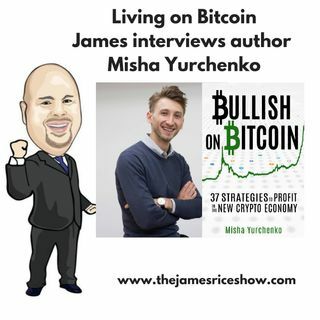 James interviews Misha Yurchenko, a Tokyo-based blogger and crypto trader. In the past 5 years, he's helped companies like Facebook and Amazon build their hiring strategies, learned Japanese and is traveling the world. He is the author of five books and writes frequently about cryptocurrencies, technology and the future of work. Also, James exposes a teaching scam in China. Colin Goodchild, our man in ... Maggiori informazioni China, tells you what to avoid when dealing with recruiters. And James' Oscar picks are revealed. Find out if he is correct!